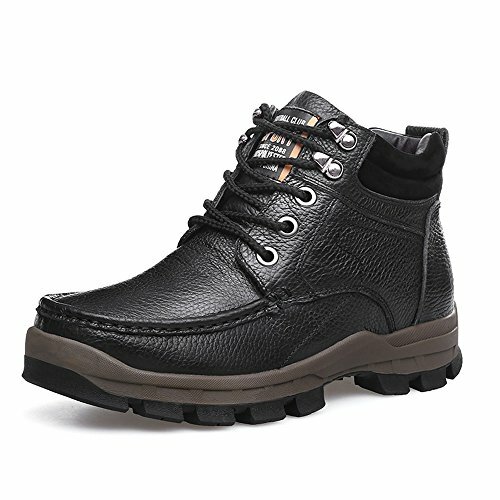 Mid-height upper offers comfort and excellent support. 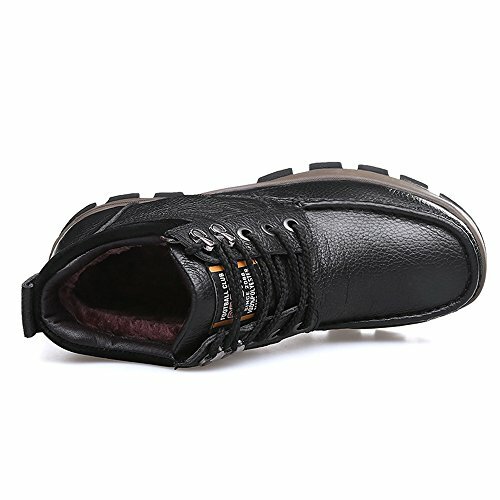 Full-grain leather upper with overlays provides a premium look and water-resistant durability. Breathable faux far lining with a padded footbed for all-day comfort. 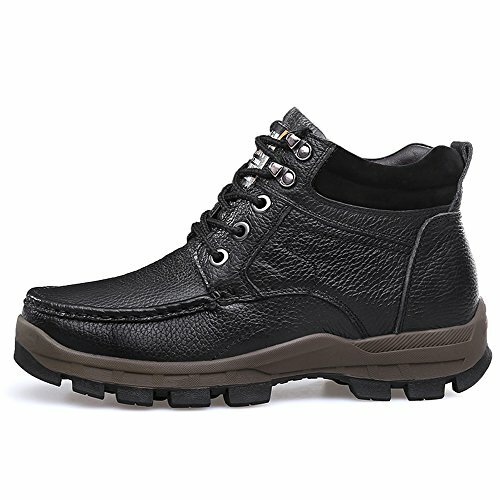 Traditional center lacing with metal eyelets locks down your foot and enhance durability. Whether you're taking a trek through green forest or navigating Mt. 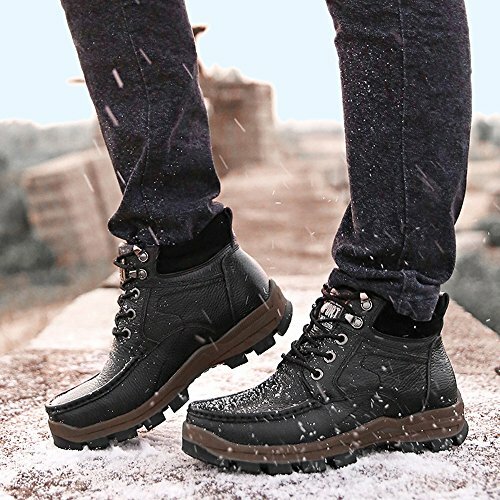 Baldy's narrow trails, do it comfortably in a pair of these leather hiking boots from SUNROLAN!